Following arguably one of the greatest WrestleMania extravaganzas in history, that saw Seth Rollins successfully cash in his Money in the Bank briefcase, plenty of doors have been opened for WWE after a dramatic aftermath in Santa Clara. Undoubtedly the most shocking moment of the night saw previously Mr. MITB Seth Rollins take advantage of two exhausted warriors that were Brock Lesnar, Roman Reigns and cash in his briefcase to become the new WWE World Heavyweight Champion. The packed out, record-breaking stadium bounced off their seats in a mixture of emotions. Shock, elation, disbelief, frustration. A dawning of a new era in WWE had happened in front of their very own eyes. Seth Rollins made history in becoming the first NXT and WWE World Heavyweight Champion but also the first man to cash in his Money in the Bank briefcase at the Grandest Stage of Them All. As the shock of seeing an 'unstoppable' beast Brock Lesnar have his title snatched away in a matter of minutes dawned at Levi's Stadium, what we then knew is there will be a reliable, deserving champion ready to carry WWE into a new era. A young, full-time worker such as Rollins becoming the top tier champion hands the company a fresh diversion from previously having a part-time champion Lesnar only show up at the more meaningful pay-per-views. With bigger matches having to take centre stage while Lesnar was absent from pay-per-views, frustration was growing within the WWE fans that the main champion hadn't been fulfilling their demands. 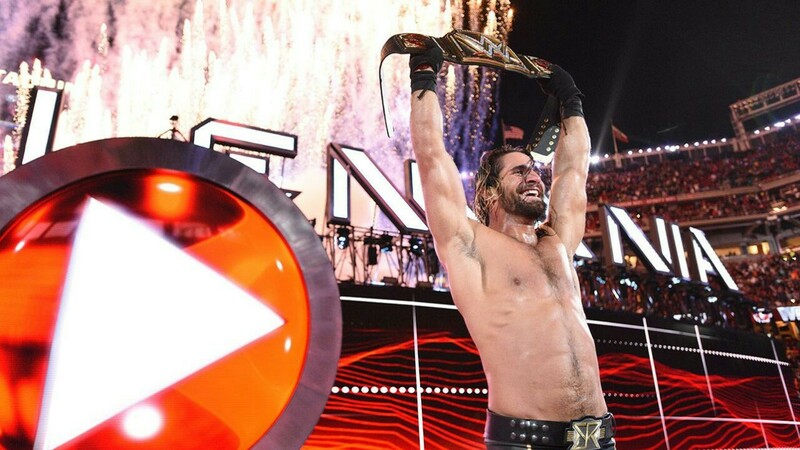 But now, there will be no problems with Rollins taking control. We are now guaranteed a full-time, committed champion who has the wrestling, microphone skills, charisma, reliability that is needed to become the next 'top dog' in WWE. His title reign will also open the door for some absolutely mouth-watering feuds. After losing a sensational bout to Randy Orton at WrestleMania, a rematch between those two could occur at Extreme Rules with the champion ordering a second bout with The Viper. The match Rollins and Orton created in front of 70,000 strong was remarkable, imagine what they are capable of doing with an Extreme Rules stipulation. Unlimited weapons, no count outs, no disqualification. It could be epic. Or, the WWE Universe could be in for a triple threat match between Rollins, former champion Lesnar and Reigns following the dramatic conclusion at WrestleMania. With the company also slowly but surely wiping out CM Punk's legacy in WWE, don't count out the possibility of Rollins surpassing his extraordinary 434 day title reign. Seth Rollins reminds me of CM Punk in several ways. His pure athleticism in the ring, terrific microphone skills, remarkable heel work and charisma is almost a replicate to Punk's character years ago. Whatever route the WWE head down - one thing is promised - we are all in for a roller-coaster of a Seth Rollins title reign and a new era has truly begun. Following arguably one of the greatest WrestleMania extravaganzas in history that saw three new champions crowned, there are plenty of doors open for WWE.